Now let’s take a look at some of the emerging male stars of British Swimming, those budding gems ready to break out in a big way in Glasgow this week in either lesser finals or all the way at the top. From an array of clubs and backgrounds, here is just a sampling of five names on which to keep an eye as the meet unfolds. Representing Royal Wolverhampton, Matthew Richards has wreaked havoc on the age group record boards as of late. At last year’s British Summer Championships, the then 15-year-old collected a total of 7 age group medals and 2 British Records. His 100m freestyle time was particularly impressive, hacking almost 2 seconds off his previous personal best from just 3 months prior to produce the 2nd fastest time ever by a 15-year-old in 50.57. At the Midland Winter Short Course Championships last November, the budding star surpassed Olympic medalist James Guy’s British Junior Record in the 200m freestyle with a new personal best of 1:48.36 to become the first British age grouper to ever dip under the 1:50 threshold in the 200m free. At that same meet, Richards’ 22.97 50m free prelims time overtook the previous British Junior Record. His 50m fly time of 24.69 shaved .13 off of the British Junior Record as well. Richards most recently competed at the FFN Golden Tour in Marseille, where logged a LCM PB in the 50m free in 23.15 for 4th in the B-Final. In the British Swimming rankings covering the last 12 months, 16-year-old Richards is ranked 15th in the 50m free, 14th in the 100m free and 13th in the 200m free. William Bell competed for GBR at the 2017 European Youth Olympic Games Festival as well as last year’s European Junior Championships in Helsinki. But his breakout meet came in the form of the British Summer Championships, where the then-16-year-old ripped several new personal bests en route to inserting himself among the age group record books. Bell’s 400m freestyle time of 3:55.93 checked-in as the 5th fastest mark ever for a British 16-year-old, while his 800m free lifetime best of 8:10.76 swum at the same meet claimed the 3rd fastest mark ever for the same age. Bell’s 1500m time of 15:39.59 also checked-in among the 16-year-old best time lists ever in the event as the 4th quickest. 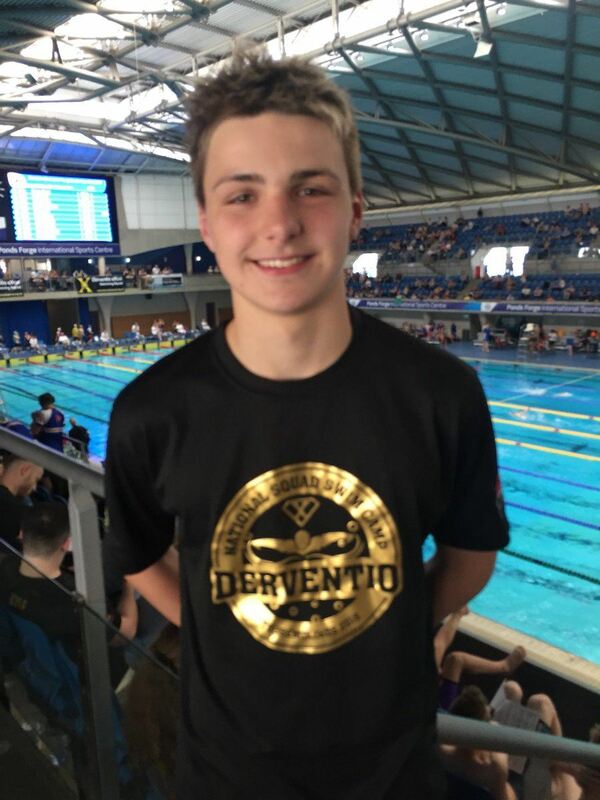 Bell competed at the City of Sheffield Swim Squad Premier Meet this year where, among his events, the teen produced a solid 2:23.43 200m breast and an 8:10.18 800m free. Ellesmere Titan Charlie Hutchison is another age group rock star who had a breakout meet at last year’s British Summer Championships. 16 at the time, Hutchison busted out eye-popping times across several different disciplines demonstrating his versatility and potential for making an impact across multiple events. Hutchison fired off a 57.25 100m back and 2:01.63 200m back, the latter of which overtook the title of fastest British 16-year-old ever in the event. The Titan was also successful in the 200m IM, where his 2:03.82 now sits only behind Olympian Duncan Scott among the fastest British times for 156-year-olds. Hutchison’s 400IM PB of 4:20.55 is also the 2nd fastest mark ever swum by a British 16-year-old. In February of this year, Jacob Whittle lowered his own British Age Group Record in the men’s 50m freestyle, bringing his previous PB of 24.15 down to 23.95 in Dubai. That made Whittle the first 14-year-old to go under 24 seconds in the men’s 50m free. Whittle has already established himself as one to watch, breaking 3 British Age Records at the British Summer Championship in long course last year, and an additional English Age Record. Just this past November, the Derventio Excel athlete broke 3 more all-time best swims for GBR. Newcastle’s 18-year-old Nicholas Pyle has been making waves for the past year or so, getting the nod to represent GBR at last year’s European Championships. The backstroking ace took his first gold at the British Championships in 2018 when he won the 50m back. Pyle won bronze at the 2018 European Junior Championships in Helsinki logging a new PB of 54.69. In Glasgow last year, he took 4x100m medley relay gold with Adam Peaty, James Guy and Duncan Scott, giving him his first senior European title.